This sheet set comes with a lifetime guarantee. Bamboo fabric is naturally hypoallergenic. These sheets come in a basic ivory or other colors, but the fabric undergoes a special process to prevent skin irritation for those with sensitivities to dyes. The fitted sheet has an 18 inch pocket depth to fit most mattresses. 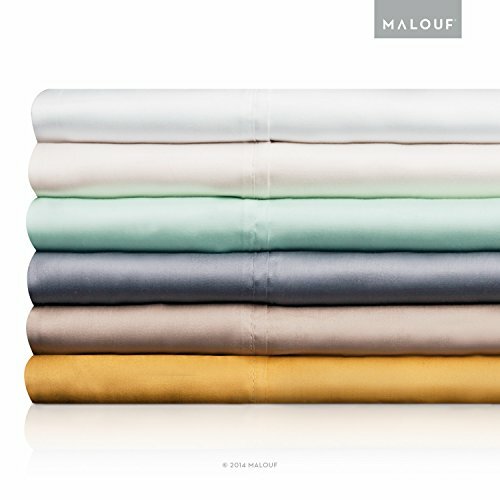 These sheets are a viable option for someone looking for a quality bamboo fabric and knows how to care for it. These are designed for deep mattresses, so may not be appropriate for smaller beds unless you don’t mind a bit of extra fabric. Tencel sheets are produces from plant fibers and are considered less harsh to the environment as they don’t require as many resources to harvest. The result is a silky soft, hypoallergenic sheet. Tencel is a natural moisture wicking fabric that is comparable to cotton. While these sheets are offered in different colors, the white sheets are the ones that carry the hypoallergenic label. These sheets are available in a natural, truly hypoallergenic option. The use of tencel fabric makes these sheets ideal if you want a cooling, moisture reducing option that won’t give dust mites somewhere to hide. This set is made from brushed hypoallergenic Microfiber. 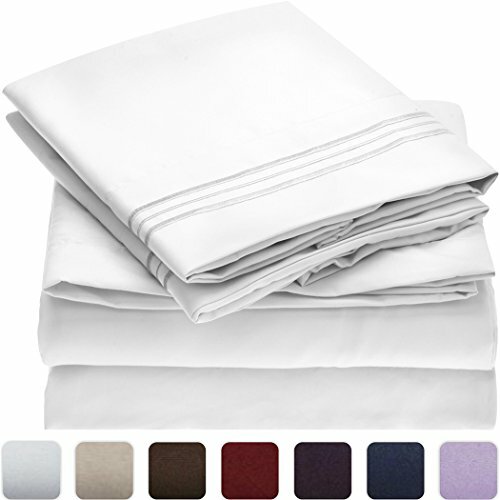 These sheets have a thread count of 1800 and are wrinkle, fade, and stain resistant. The website states that these sheets are dust mite resistant despite their polyester material. The sheets come in multiple colors and fit mattresses up to 16 inches deep. 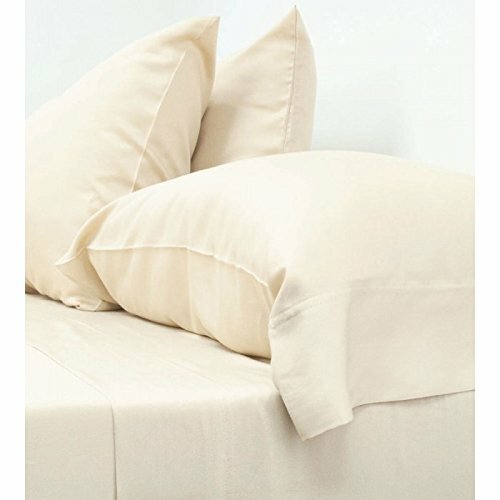 These sheets are a high quality synthetic option for people who don’t need a 100% natural or dye-free option. If you have severe allergies, this may not be the set for you. These satin sheets are also made from polyester. These sheets are not made of silk despite their silky appearance. They come in a variety of colors. These sheets are smooth and cool. 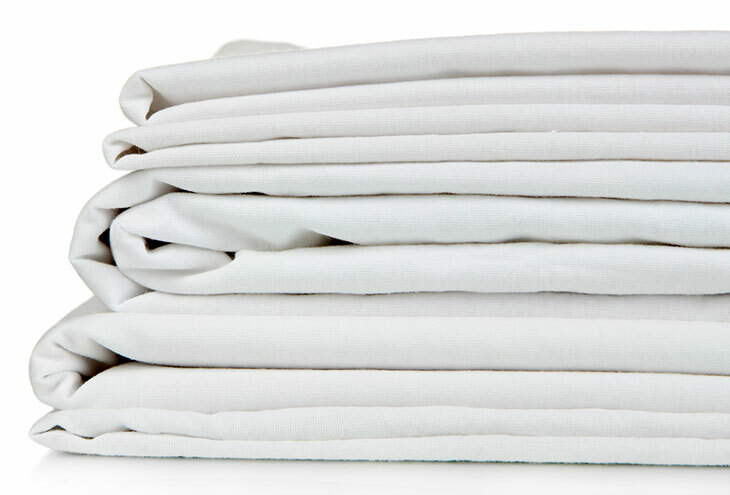 The more you use and wash these sheets, the softer they will become over time. This set has a luxury look without the price tag. If you just need a lighter bed set and aren’t worried about added dyes and synthetic fabrics, this set may work for you. 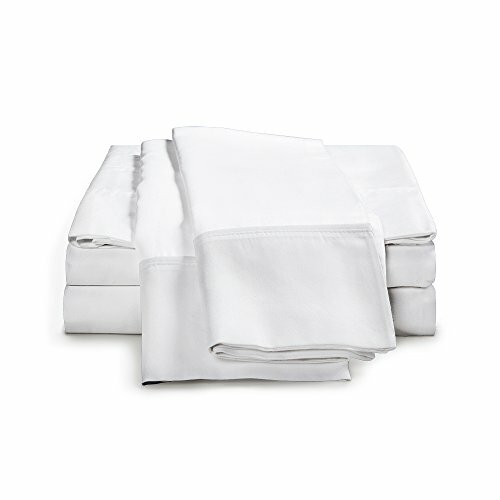 These sheets boast a 1000 thread count and are made with 100% Egyptian cotton. This set comes in multiple colors and the colors are guaranteed to stand up in the wash. The fitted sheet will fit up to an 18 inch thick mattress. Egyptian cotton is a popular sheet for people with allergies due to the quality of the material. While this brand also dyes their sheets, they offer a money back guarantee if these sheets don’t work for you. The Tencel and Bamboo sheets described above meet the most criteria for preventing allergic reactions for sensitive sleepers. Whether you need relief from severe allergies or you are just looking to freshen up your bedroom, either of these products is a quality option. You will need to take your personal preferences into account when choosing between the two in terms of softness and how each brand meets your needs. The Tencel sheets are softer out of the packaging, but with a few washes, the bamboo sheets will be just as soft. Both sets have dye-free options, but also offer different colors if dyes are not a concern for you. Both materials need to be cared for slightly differently from cotton. They should be washed in cold water and dried on a gentle cycle before being put back on your bed. Both brands come with deep pockets to fit most large mattresses. Everyone’s sleeping needs are slightly different, but if you are looking for a quality sheet that will help you reduce allergens in your bed, either of these two high rated products will get you started on your journey to a better night’s sleep. When trying to decide on the best sheet set, there are some things to consider before making your purchase. With sheets, the saying, “you get what you pay for” rings true. Generally speaking, the higher the thread count, the softer the sheets. Sheets with a thread count lower than 400 can feel scratchy or rough. Sheets with a thread count higher than 400 will be softer with each wash. Sheets that boast a thread count of 1,000 or higher are considered the highest quality. All sheets may experience slight shrinkage when they are first washed and dried, even those labeled “pre-shrunk.” Washing your sheets frequently is a good way to prevent allergens from building up in your bedding. Hypoallergenic materials come in many forms. The more natural the fiber, the better its ability to prevent allergen buildup will be. Organic cotton and silk fibers are naturally hypoallergenic. Bamboo sheets are made with a natural fiber and are more breathable than other materials on the market. Tencel is another material commonly used in hypoallergenic bedding because of its natural anti-microbial properties and its ability to wick away moisture. Polyester is a synthetic fabric that varies in quality and should be avoided by people with skin allergies or sensitive skin. According to a clinical study, polyester bedding is usually made without a tightly woven pattern, and this can provide an environment for dust mites to live and grow and is difficult to keep free of mold and dander. Some materials are known for their luxuries comfort that often comes with a comparable price tag. Egyptian cotton and silk are known for being cooler and keeping away moisture. Bamboo is soft and breathable for people who need a lighter option. Tencel is soft and cooling but is less common than the other materials. Ultimately you should choose a material that will keep you comfortable all night. Depending on your mattress design, you may need to consider pocket depth before purchasing your sheets. Most fitted sheets have a pocket depth of 7-14 inches. If your mattress is a pillow top or you used a mattress topper, you may need sheets with deep pockets (usually 15 inches) to keep your sheets from popping off the mattress. If you have an extra thick mattress, you may need extra deep pockets which range from 16-22 inches. Pocket depth is listed with other sheet features on the packaging/online listing. Hypoallergenic sheets should be free from dyes and artificial colors. This protects your skin from additional irritants. These sheets may have a natural color to them which will vary due to the material and process used to make them. Be wary of colorful sheets labeled hypoallergenic, especially if you have sensitive skin. If you frequently experience any of the following symptoms when you wake up, then it may be time to switch to hypoallergenic bedding. Hypoallergenic bedding is an investment that not everyone can afford right away. While you work on finding the right bedding, all of the above listed symptoms can be reduced by changing and washing your bedding regularly. Encasing your mattress with a special cover (make sure it is hypoallergenic as well) will protect you from allergens already in your mattress.